Football writes the craziest stories – that’s nothing new. But again and again some results, statistics or events astonish. A good example is the duel between Guingamp and AS Monaco. Both teams play an underground season and occupy the last two places in the national league. The relegation moves week by week in the distance. In the Cup, the League Cup, but still both clubs are in the semifinal and fight on Tuesday for the final to the finals. To draw a similar comparison to Germany, this would mean that Nuremberg and Hannover in the DFB Cup semi-final play for a trip to Berlin in the Olympic Stadium – hard to imagine. But in fact, Guingamp and Monaco, for which pairing a prediction is being made, can not only fight for a final, but at the same time gain new self-confidence for the rest of the season. In addition, the winner of the controversial competition will win a seat in the Europa League next year. The motivation will play an important role between Guingamp and Monaco for a good tip. Only those who approach this task with complete seriousness will leave the place on Tuesday evening as the winner. The change of coach of the guests from Thierry Henry to Leonardo Jardim plays a very important role. Kick-off is at 21:05 and EA Guingamp enjoy the home right against Monaco, which is at least not directly apparent in the odds of bookmakers. The guests from the Principality are minimally favored overall. Papy Djolobodji – a celebrated hero in Bremen a few years ago when he shot Werder against Frankfurt 1-0 at the last minute on the final day of play, thus saving the Green-Whites the relegation. At that time, the defender was on loan from Chelsea FC and was highly traded. In the meantime there is not much left of this shine. The 30-year-old is on his way to relegation with his club EA Guingamp. Last weekend, he only once again experienced a raven black hour. In the 58th minute he saw the red card against Stade Reims and thus did his team a disservice. This was sometimes a reason why the hosts could no longer bend the 0-1 deficit and with the defeat took another step closer to the abyss. It just does not want to converge in this season. 14 points after 22 games are a more than meager yield, 46 goals and 16 own hits the weakest value of all 20 teams. Everything fits in the picture of a drop-off. What on the other hand does not fit, are the achievements in the cup. In France, in addition to the League Cup, there is also the Coupe de France. In both competitions Guingamp is still represented and dances with it on three weddings. In the Coupe de France, the club of coach Jocelyn Gourvennec, who succeeds Antoine Kombouare the rudder yet could not tear around, prevailed recently against Nancy and is there in the second round. However, the much larger coup was achieved in the quarter-finals of the Coupe de la Ligue, as Paris St. Germain in the quarterfinals 2-1 was sensationally beaten. In the league there was from the class leader for a harsh revenge (0: 9), but the upcoming semi-final of Guingamp against Monaco, in which a tip on the home team without the coaching change of the guests would not even be outlandish, no one can take them. With the exception of Djolobodji, there are no personal excuses for the hosts. The anticipation of this competition, which is so unpopular in France, is therefore great. What’s up with AS Monaco? It seems like yesterday, when the club of the Cote d`Azur was in the semifinals of the Champions League, threw Man City and Borussia Dortmund out of the competition and thrilled with spectacular offensive football. This season the club was in the premier class. But there does not seem to be much left of these times. A crash of dramatic proportions has the club in the current season behind it, which is really unbelievable. Now this descent has found another victim. Thierry Henry, who was brought to southern France just three and a half months ago as the great bearer of hope, has to leave the coaching post. He could not provide the hoped-for turnaround and has also made some mistakes, as in the recent 1-5 draw against Strasburg, when he insulted opposing players. His successor is at the same time his predecessor – Leonardo Jardim. How he wants to bring the sinking Bott back on his feet in only a few days, is his secret. Henry had banished after the embarrassing cup-off against second division Metz without consulting with his bosses some players in the second team. Which of these measures will be reversed will become apparent. The line-up of the guests is completely open on Tuesday and it will probably go to the few training impressions, after which Jardim must judge which players he gives the confidence. Qualitatively, there is no need to argue that the Monegas have the right amount of quality in their own ranks. Benjamin Henrichs or Diego Benaglio are known from the Bundesliga. A Cesc Fabregas, Radamel Falcao or Youri Tielemans have played their weddings at the best international level. With FC Schalke 04, another prominent new signing has been signed with Naldo in the winter break, which has made a very poor impression with two red cards against Strasbourg and Dijon. Therefore, he will not be used in the cup. The meeting will be watched with great excitement on Tuesday, in which there is a first indication of the question of whether Leonardo Jardim can save the big, prominent club from the south coast. The direct comparison between Guingamp and Monaco is almost completely irrelevant for prediction and especially the tip for the current game. 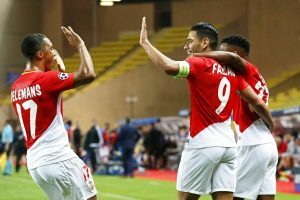 In recent years, Monaco was the successful team, but not to compare with the current situation. The two youngest games in 2018 could decide for EA Guingamp, which plays in the current situation, in a cup semi-final and also with a new coach hardly a role. The direct comparison and the home advantage speak for Guingamp and on the side of Monaco, the odds seem very low in view of the past games. However, there is a very important reason why the last played matches of the Monegas should not be overrated. The guests arrive on Tuesday with new and old coach, Leonardo Jardim, and want to initiate the turnaround of a disaster season. How much the performance of a team can change with a new coach, but Manchester United in the Premier League is currently the best example. Monaco is in a similar situation as the quality of the players there is also undisputed. If Jardim gives the players some credit and increases their motivation, then the away team should have a clear edge in this pairing. Guingamp has playfully nothing to oppose Monaco, which is why the tip is delivered in the direction of the guests. The odds look Monaco only gossamer in the advantage and in the last results, a residual skepticism should be appropriate despite new coach. But all in all, it can be assumed that the club from the principality will have its last chance at an international starting place and ensure the final on Tuesday.